Abdulameer M. Al-Dafar (al-Hamdani) is an Anthropological Archaeologist specializing in the Near Eastern and Mesopotamian archaeology. He has a Bachelor degree in Ancient Archaeology, Baghdad University 1987, an MA in Archaeology from the Department of Anthropology of State University of New York at Stony Brook, May 2013, entitled Town, Village and Marsh Settlement in the Eridu Basin: Economic, Spatial, Political and Ritual Relationships between Settlements in the Sumerian Heartland in the Early Second Millennium BCE. 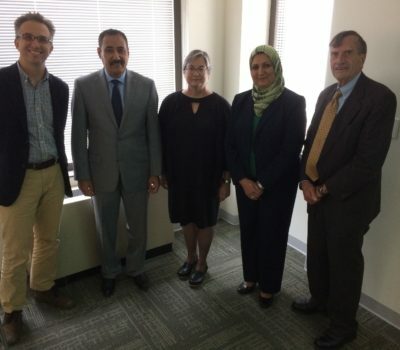 He has a PhD from the Department of Anthropology-the State University of New York at Stony Brook, 2015 entitled The Shadow States: The Archaeology of Power in the Marshes of Southern Mesopotamia. He was a teaching assistant for Archaeology and Anthropology at the Department of Anthropology, Stony Brook University. He has specialized in using remote sensing, GIS, and geospatial techniques in archaeology; regional archaeological survey, internal systematic survey, and landscape archaeology. 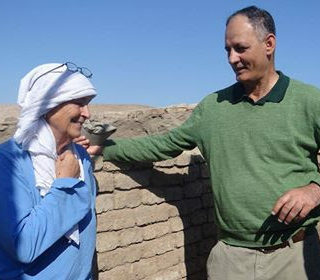 He was Director of the antiquities office of Dhiqar province in southern Iraq, and director of Nasiriya Museum 2003–9. In 2003–9, he carried out regional survey and documentation of Archaeological sites in southern Iraq, adding 1200 new archaeological sites to the Archaeological Atlas of Iraq. In 2004–10, he carried out surveys for the archaeological sites in the marshes of southern Iraq: the central marshes, Hawr al-Hammar, and Hawr al-Huwaiza, which are located between and along the Tigris and Euphrates. In 2009, he surveyed the western desert west of Eridu to reconstruct the natural and ancient landscape outside of the alluvial plain in southern Iraq. 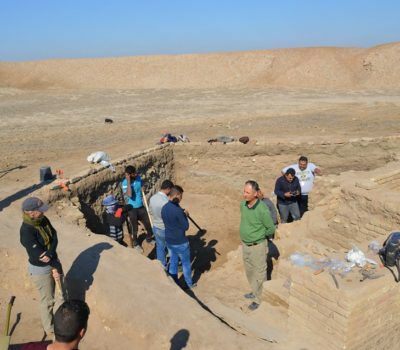 In 2010, he prepared a report and maps for UNESCO about the archaeological sites and features in the marshes of southern Iraq, by using ground survey and remote sensing data. He participated in surveying Erbil Plan-Erbil Province (North Iraq), with a team from Harvard University in August–September 2016. He has digitized and traced surface architecture and features in the archaeological sites of central and southern Iraq. The method was using high-resolution satellite images to analysis and trace architectural features the happen to be visible. In 2013–15, he created a database and digital atlas maps for the archaeological sites in Iraq, almost 15.000 sites, and reconstructed the ancient landscape, settlement systems, and canal systems of southern Mesopotamia during the early second millennium BCE, the late first millennium BCE and the tenth century CE as a part of his dissertation to SUNY at Stony Brook. In 2003–4, he was director of an expedition from the Iraqi State Board of Antiquities and Heritage to excavate the site of Tal Lehem- near Ur-southern Iraq. He has also excavated at Umm al-Aqarib in southern Iraq, Tell Sakhariya near Ur. 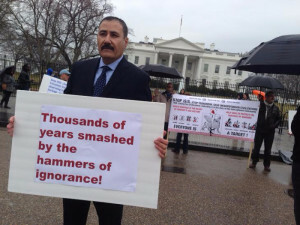 He was also scientific adviser of the Italian expedition from Rome University-La sapienza that excavated at the site of Abu Tubaira near Ur in southern Iraq in 2011–12, He was a member of an expedition from the State University of New York at Stony Brook to excavate the ancient city of Ur in 2015 and, in 2017, co-director of the Iraqi-American expedition from the State University of New York at Stony Brook to excavate the ancient city of Ur. The Iraqi State Board of Antiquities and Heritage, Archaeology, Faculty Member. Near Eastern Archaeology, Mesopotamian Archaeology, Landscape Archaeology, Ethnoarchaeology, Assyriology. He has specialized in using remote sensing, archaeological GIS, and geospatial techniques in archaeology; regional archaeological survey, internal systematic survey, and landscape archaeology.